The holiday season is upon us, and Wilmington and the Brandywine Valley are bubbling over with fun, family-friendly holiday happenings! With everything from magnificently decorated mansions to elaborate outdoor lighting displays and a festive train ride with Santa through the Red Clay Valley, there’s something for everyone to enjoy! 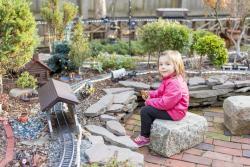 So pack up the cookies and hot chocolate and head to one (or all 11) of these merry holiday "to-do&apos;s" in Wilmington and the Brandywine Valley. Set on 235-acres along the Brandywine River, Hagley Museum and Library includes the original du Pont Company powder mills & the first du Pont family home in America. During the holidays, the elaborate mansion is festively decorated with dried flowers, fruits, ribbons, and fresh greenery, complemented by soft lights and Christmas music. Hagley Museum and Library and is open daily for guided tours. Special, but very limited, evening tours are also available. So get your tickets early. This former home of Henry Francis du Pont and his world-class collection of decorative arts is truly an American treasure! 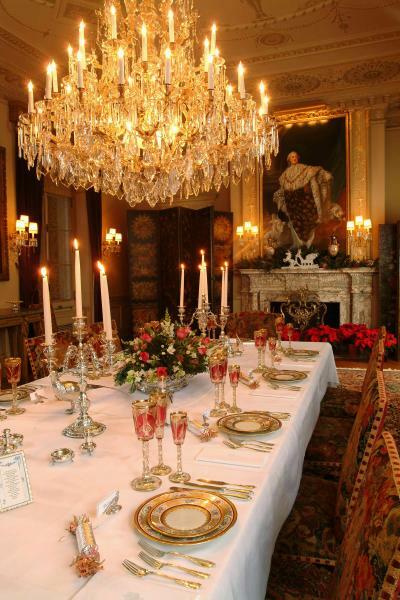 During Yuletide, visitors will enjoy historical displays, fantastical garden-inspired Christmas trees, and the elegance of du Pont family entertaining. Other seasonal festivities at Winterthur include a live, one-man performance of A Christmas Carol by Gerald Charles Dickens (the great-great-grandson of Charles Dickens), Yuletide Brunch with Santa, and the Jazz and Wine Series. Modeled after Versailles for Alfred I. du Pont at the turn of the 20th century, Nemours Estate is a masterpiece of design with its mansion, fountains, artwork, gilded sculpture, and the largest formal French garden in North America. While spectacular throughout the year, Nemours is especially captivating during the holidays. This holiday season, explore one of the country’s most exquisite gardens! From November 23, 2017 - January 7, 2018, Longwood Gardens hosts their annual event, A Longwood Christmas, where visitors have the opportunity to admire thousands of poinsettias, towering Christmas trees, and fragrant flowers that transform the four-acre indoor conservatory. Strolling carolers, daily sing-alongs, and special performances fill the Conservatory with festive cheer. Outside, 500,000 LED lights twinkle creating a magical atmosphere. Discover a magnificent collection of American art housed in a 19th-century mill overlooking the banks of the Brandywine River. 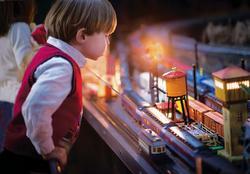 Located just minutes north of Longwood Gardens, Brandywine River Museum of Art celebrates the season with fabulous holiday displays including an enchanting, 11-room Victorian dollhouse (circa 1900), filled with furniture, wax flowers and classic Victorian decor - all made to scale, an extensive O-gauge model railroad, and thousands of handcrafted, whimsical "critter" ornaments on holiday trees. 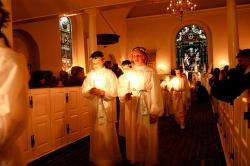 One of Greater Wilmington&apos;s most unique yuletide traditions is the Sankta Lucia celebration held in Old Swedes Church, which was built in 1798. Surrounded by costumed children and dressed in white with candlelight in her hair, Lucia strolls down the center aisle in Old Swedes Church on Sunday, December 10 at 1 p.m. and again at 3:30 p.m. This moving celebration combines two traditions: the pagan ritual of worshipping the Sun God at Midwinter and the Christian Christmas. 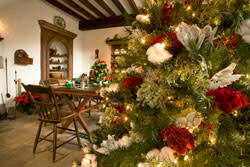 Before or after the ceremony, visitors are encouraged to tour the Hendrickson House, which is located on the property and decorated for a Swedish Christmas. Overlooking the Delaware River, this charming town is steeped in history and is home to more than 300 historic properties and 30 major historic sites. 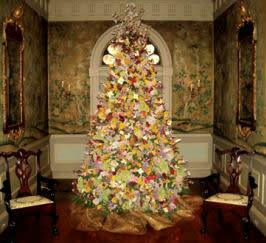 On the second Saturday in December, Historic New Castle traditionally hosts the Spirit of Christmas. During this day-long celebration, many private homes and museums open their doors to the public for tours. The entire town is beautifully decorated for a colonial Christmas complete with carriage rides, music, and caroling followed by a tree lighting ceremony. A little farther south of Historic New Castle lies the quaint village of Odessa. Known in the 18th-century as Cantwell’s Bridge, Odessa played a vital role in commercial life along the Delaware River as a busy grain shipping port. Today, you can stroll along tree-lined brick sidewalks and admire examples of 18th and 19th century architecture. Each year, Historic Odessa hosts its annual holiday celebration, Christmas in Odessa. On the first Saturday in December, many private homes as well as the Historic Houses of Odessa open their doors for tours. 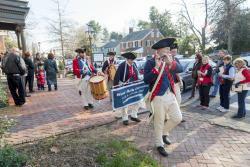 The day&apos;s festivities include a Christmas Craft & Antique Show, Tea in Old St. Paul&apos;s Church, an organ recital, a Fife & Drum performance, bell ringing, and caroling. Proceeds from Christmas in Odessa are used to support scholarship programs in the Appoquinimink School District. 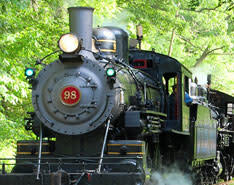 Climb aboard Wilmington & Western’s steam-powered locomotive and ride through the Red Clay Valley with Santa himself! The jolly old elf rides the train and greets everyone on board, and gives all children a yummy chocolate treat. Be sure to bring your camera and have Santa pose for pictures with your child during this fun-filled 1½-hour round-trip to Ashland. Not only is shopping in Greater Wilmington a real treat, it’s also tax-free! Head to the Christiana Mall where more than 200 stores await, including Nordstrom, Apple, and Cabella&apos;s. Browse through an array of quaint boutiques and galleries in Trolley Square, Greenville, Centreville, and Hockessin. Perhaps the biggest surprise is the area&apos;s museum shops, which rival small department stores. The shops at Brandywine River Museum of Art, Delaware Art Museum, The Delaware Contemporary, Delaware Museum of Natural History, Hagley Museum & Library, Longwood Gardens, and Winterthur are filled with unique items that make memorable gifts and great keepsakes. Delightful dining experiences await you in Wilmington and the Brandywine Valley, which boast an impressive selection of restaurants that are sure to please every palate and pocketbook. Entertainment options are equally abundant with Broadway productions, a dinner theatre, symphonies, concerts, and special Christmas shows like the ever-popular Nutcracker. What are you most looking forward to doing in Wilmington & the Brandywine Valley this holiday season? Let us know in the comments below and don&apos;t forget to tag your holiday photos with #VisitWilm.